At a career-high ranking and feeling the after-effects of a confidence-boosting Fed Cup debut, Priscilla Hon is targeting a return to the green-and-gold fold in April against Belarus in her home town. When Priscilla Hon gets tight on court, she thinks back to early February, when she cleared an almighty hurdle. 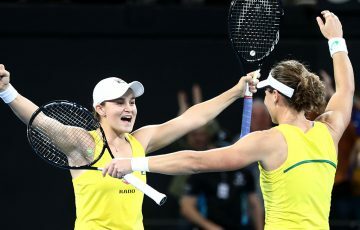 Playing in her first ever Fed Cup tie for Australia, in a live doubles rubber against the United States with scores locked at two rubbers apiece, she held her nerve and served out victory alongside Ash Barty to send her country into the semifinals. “I always picture that last game,” she told tennis.com.au in a week off from competition during which she flew to Hong Kong to visit family. “Playing in my other matches and (if) it’s a tight situation, I always remember that exact time at Fed Cup, where my nerves were probably way higher and through the roof. I feel like that’s helped me a lot playing in matches after that. It is rare for a player to debut in a live fifth Fed Cup rubber. 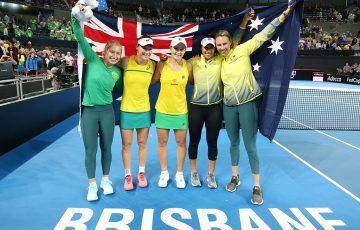 Hon says both Australian captain Alicia Molik and teammate Barty told her they had played for years in the competition before finding themselves in that same situation. “The whole weekend watching – at the back of my mind knowing that if it does get to 2-2 that I’ll be playing – I was stressing hard,” she admitted. “Against America as well, in America, everyone was going against us over there. I just wanted to make my country proud – I’ve always wanted to play for Australia. Playing Junior Fed Cup, they’re like the best weeks I’ve ever had. Playing in the real thing was an even greater feeling. 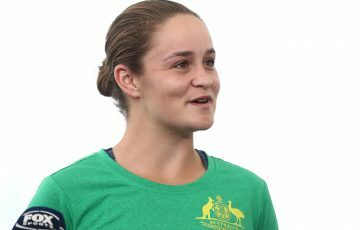 She hopes to experience similar Fed Cup emotions again, should she be picked for Australia’s World Group semifinal tie against Belarus on 20-21 April. “That would be a dream,” she said. “It’s in Brisbane as well; I’ve been brought up there my whole life, and been training at Pat Rafter Arena for as long as it’s ever been there. Instead, Hon is focusing on her solo exploits in a season that is so far shaping as a career best. 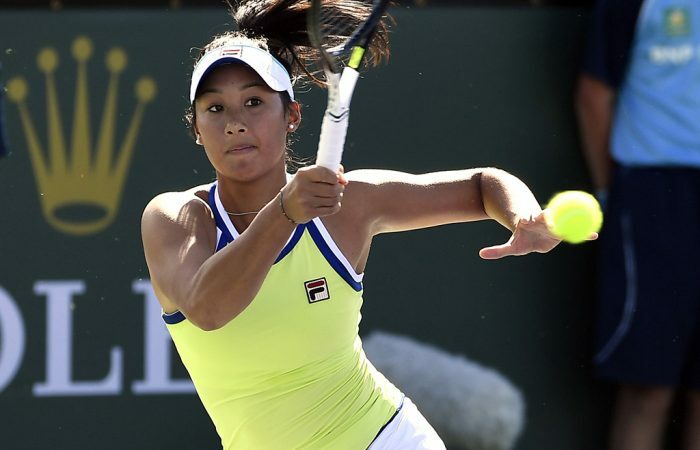 The 20-year-old has already qualified for three WTA events in 2019 – Sydney, Hua Hin and Indian Wells – and sits at a highest-ever ranking of No.136. She originally intended to recharge after the Australian Open, but an increasingly loaded schedule in the first two-and-a-half months of the season meant she could only do so after Indian Wells. Hence the family trip to Hong Kong. “After Fed Cup, I was mentally so drained. I gave it everything for Fed Cup (laughter). Just flying all over the place really hit me. I was meant to stay for Miami, but I just needed a break,” said Hon, who after the Australian summer flew to Thailand, then North Carolina, then Budapest and then California for a 125K event in Indian Wells before the BNP Paribas Open. After her break, Hon plans to play the second of two Pro Tour events in Canberra – and then hopefully Fed Cup – before heading to Europe for the clay-court swing culminating in the French Open. “I’m always learning about myself and my game and what I need to work on, so I feel like I am slowly building, which is always good. 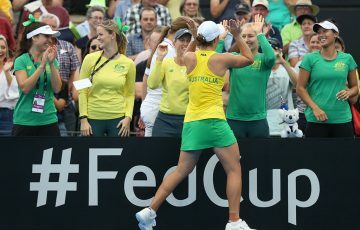 Getting the win for Fed Cup definitely brought my overall (feeling) a lot higher,” Hon said of 2019.